You can download Monitor as a pdf file from https://www.windmill.co.uk/monitor/monitor211.pdf. There are a surprising number of ways available today to count vehicles, and it is interesting to see how the technology has progressed. One of the simplest but an accurate method of traffic counting is simply done by people counting vehicles. A person might stand at the side of the road, or, more commonly watch a video of the road and count from that. They either use an electronic hand held counter or records data using a tally sheet. In tests manual vehicle counting was 99% accurate. With manual counts a small sample of data is taken - counting is typically for a periods of less than a day - results are extrapolated for the rest of the year or season. Obviously manual counting is labour intensive. 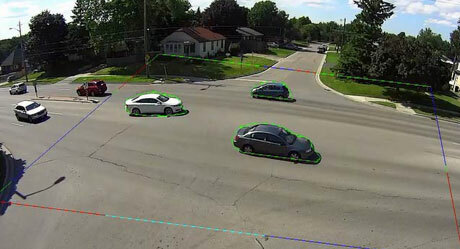 Systems are now available that will automatically analyse the video pictures as cars are passing underneath, detecting cars with a similar accuracy to that of people watching the video. This vehicle counting method has several advantages over other automatic systems. It is cost-effective as it can count in many directions at once: only one camera is needed for several lanes or exits at a junction. It is easy to add or modify the zones through which vehicles are counted from the comfort of an office. Local video analytics minimises bandwidth use. Traffic counts are uploaded in real-time via the internet, so traffic managers can view live (down to 15 minute intervals for example) and historic counts from their web browsers. Counts are easily verified simply by watching the video and checking the automated counts. Video traffic counting typically takes place continuously, year round, giving precise figures. This has for many years been a popular method of vehicle sensing. Here one or more rubber hoses are stretched across the road and connected at one end to a data logger. The other end of the tube is sealed. When a pair of wheels hits the tube, air pressure in the squashed tube activates the data logger which records the time of the event. A pair of tubes can be stretched across several lanes of traffic. The data logger can establish vehicle direction by recording which tube is crossed first. This has the drawback that if two vehicles cross the tubes at the same time then the direction can't be accurately determined. Should two cars be very close together when they cross the tubes, the system may see them as one multiaxle vehicle. Vendors claim an accuracy of 99%. Studies show though, that the absolute error of a typical 15-minute count averaged closer to ten percent. This suggests that the level of inaccuracy is being masked by the positive and negative counting errors cancelling each other out. Road tubes work well for short duration counts on lower volume roads. They are not as effective on higher volume, multi-lane highways. Piezoelectric sensors collect data by converting mechanical energy into electrical energy. The piezoelectric sensor is mounted in a groove cut into road's surface. When a car drives over the piezoelectric sensor, it squeezes it and causes an electric potential - a voltage signal. The size of the signal is proportional to the degree of deformation. When the car moves off, the voltage reverses. This change in voltage can be used to detect and count vehicles. The counting device which is connected to the sensors is housed in an enclosure by the side of the road. Data may be collected locally via an Ethernet or RS232 connection to a laptop, or may be transmitted by modem. An inductive loop is a square of wire embedded into or under the road. The loop utilizes the principle that a magnetic field introduced near an electrical conductor causes an electrical current to be induced. In the case of traffic monitoring, a large metal vehicle acts as the magnetic field and the inductive loop as the electrical conductor. A device at the roadside records the signals generated. This detects vehicles by measuring the change in the earth's magnetic field as the vehicles pass over the detector. The sensor is either buried in the road, or enclosed in a box by the side of the road. If vehicles are following each other very closely, the magnetic detector may have difficulty discriminating between them. This detects vehicles by the sound created as the vehicle passes. The sensor is mounted on a pole pointing down towards the traffic. It can collect counts for one or more travel lanes. Passive infrared devices detect vehicles by measuring the infrared energy radiating from the detection zone. When a vehicle passes the energy radiated changes and the count is increased. Slow changes in road surface temperature, caused by changing weather conditions, are ignored. Lane coverage is limited to one to two lanes. Doppler microwave detection devices transmit a continuous signal of low-energy microwave radiation at a target area and then analyze the reflected signal. The detector registers a change in the frequency of waves occurring when the microwave source and the vehicle are in motion relative to one another. This allows the device to detect moving vehicles. Radar is capable of detecting distant objects and determining their position and speed of movement. 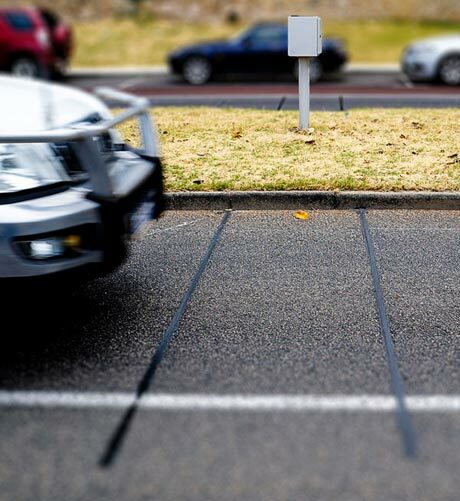 With vehicle detection, a device directs high frequency radio waves at the roadway to determine the time delay of the return signal, thereby calculating the distance to the detected vehicle. Accuracy of Pneumatic Road Tube Counters. McGowen and Sanderson. A report prepared for the 2011 Western District Annual Meeting Institute of Transportation Engineers Anchorage, AK May 2011. Disclaimer: Windmill Software is closely involved in writing algorithms for video vehicle sensing. How to read WIMDA Data? My group runs several new mountain NM150wx devices. These are ultrasonic anemometers with GPS receivers. They output GPGGA and WIMDA (meteorological composite data) sentences via NMEA 0183 standard. Does Windmill 7 data acquisition software+COMIML driver support WIMDA sentences? Yes, Windmill supports WIMDA sentences. You'd proceed similarly to the example given for GPS receivers on our website - https://www.windmill.co.uk/driver_nmea.html - but search for the appropriate part of the WIMDA string and extract the relevant data. 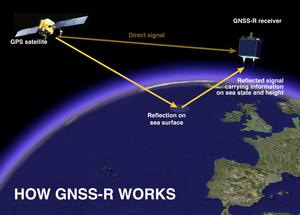 For the first time sea level has been mapped from space with GPS reflections, according to new research. Engineers have developed a new type of fibre material for a handheld scanner that can detect small traces of alkane fuel vapor, a valuable advancement that could be an early-warning signal for leaks in an oil pipeline, an airliner, or for locating a terrorist's explosive. Engineers are developing intelligent motor systems that function without the need for additional sensors. By essentially transforming the motor itself into a sensor, the team are creating smart motors that can tell whether they are still running smoothly, can communicate and interact with other motors and can be efficiently controlled.